I have collaboration duo share with you today brought you by Elevation Polish and Pahlish. This the duo for August called The Venetian Duo inspired by the Netflix series Marco Polo. Side Note: I think I should watch that show, it sounds like it would be something I'd really like. The cool thing about this duo is the Elevation Polish The Merchant's Sea is a thermal polish. I'm a thermal polish virgin, so this was a neat and interesting experience for me. I'll get into that in a minute! 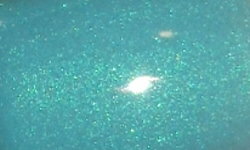 The Merchant's Sea in a cold state is dusty turquoise with a blue/green shimmer, while in a warm state is in brighter turquoise with a blue green shimmer. Here was my thermal polish conundrum. I put this polish on and immersed my fingers in cold water. Nothing happened. Well, I live in an igloo. It is so hot in humid here in summer, I blast my A/C anytime I'm inside. An emperor penguin would be content in my apartment. I then realized The Merchant's Sea was already in the cold state just by my room temperature. I switched to warm water and that's when I saw it change to a lighter and brighter turquoise shade! Problem solved. 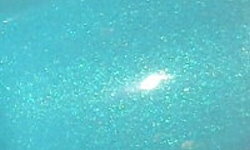 The Wayfarer is a clear base mixed with metallic chrome flakies, iridescent glitter, and silvery/iridescent shimmer. Color: These are both beautiful colors. I love the depth The Merchant's Sea has with that added shimmer, it really elevates that gorgeous turquoise shade. The Wayfarer is a beautiful compliment. I love the mix of the metallic flakes and the iridescent glitter. 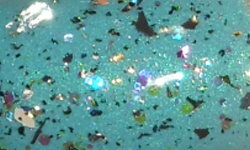 This glitter mix reminds me of shattered glass bottles. The colors are cool and muted and balance out perfectly with The Merchant's Sea. Formula: Both of these polishes had excellent and easy to use formulas. I used 2 coats of The Merchant's Sea and 1 coat of The Wayfarer. Price: This duo is $22 and can be purchased on Pahlish's shop. This will be available in Elevation Polish's shop on August 7th. Overall: Beautiful duo! I am in love with these colors and think it's they compliment each other perfectly. These were very thoughtfully made for sure. The formulas are also great, and I think everyone would be very happy to have these!